Phoenix, Arizona is often known as a great place for “snowbirds” to keep warm during those winter months. But there is much more to Phoenix than just the climate. Professional sports, outdoor activities, and a great nightlife scene are just some of the reasons that Phoenix, Arizona residents or out-of-state travelers choose charter bus rentals for their group outings. Charter bus rentals are great for outdoor group activities year-round. The beautiful desert canyons are great for hiking and there are miles and miles of great bike riding trails as well. How about this for fun? Have your Phoenix charter bus drop your group off for a desert horseback ride! For a list of great attractions, things to do and fun places to visit, head to our top 10 fun things to do in Arizona page! 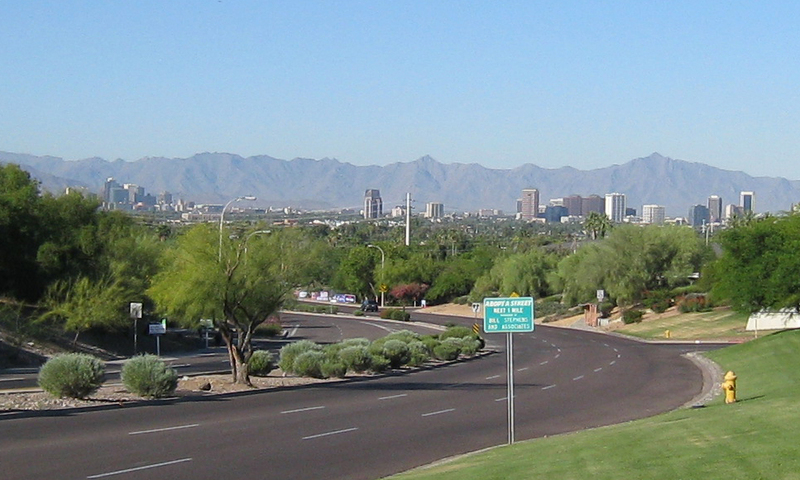 Charter bus travel through the Phoenix valley is a great way to take in all of the activities the area has to offer. 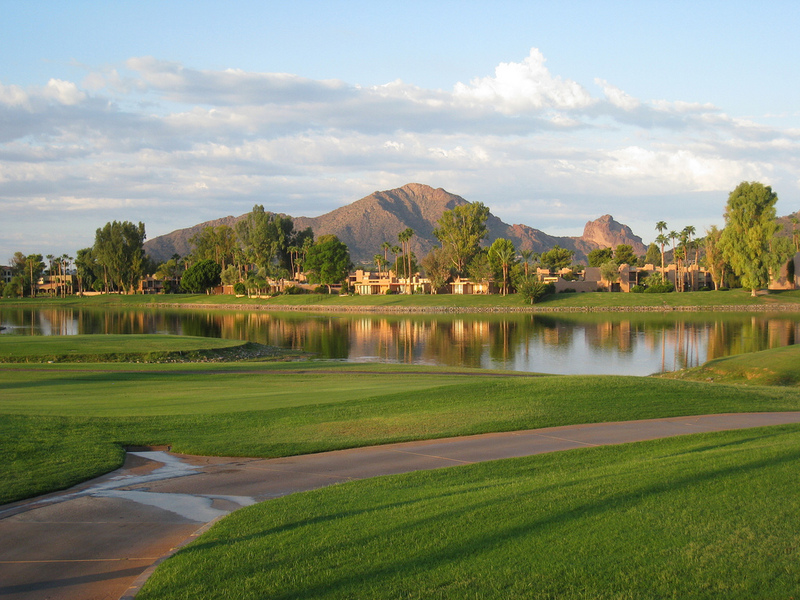 With year-round sunny skies, Arizona is a golfer’s paradise with more than 300 golf courses to choose from. 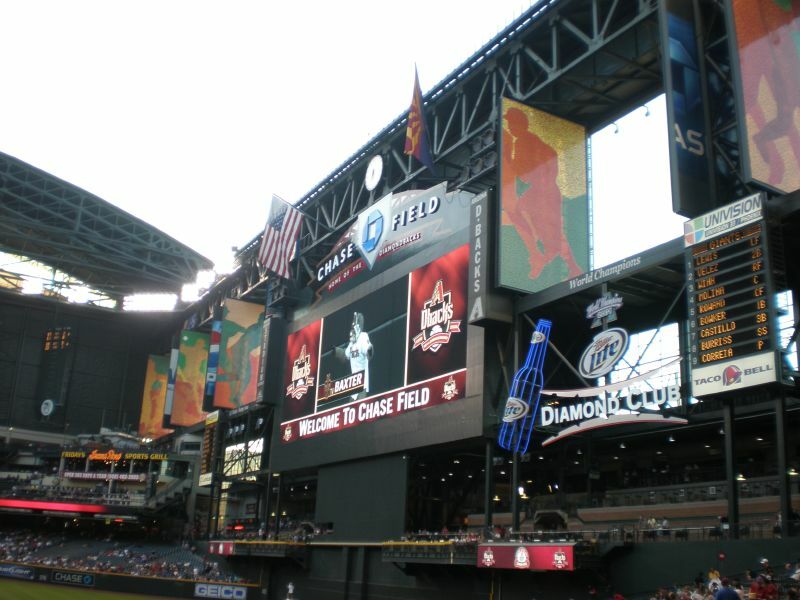 Charter bus rentals for a sport event or professional sport game are a popular choice in Phoenix, Arizona. Big Surf – North America’s first wave pool! Charter bus travel can include Phoenix, Arizona restaurants if you simply need to feed your big hungry group. There’s nothing like trying to feed a bus load of people all at the same time. Thankfully, there are several restaurants that cater to big groups. The Blazin’ M Ranch Chuckwagon has an old-time restaurant with games and all-you-can-eat BBQ. There’s no better way to give your group some entertainment and delicious food at the same time. The Pinnacle Peak Patio Steakhouse is another delicious option that can handle a full Phoenix charter bus group. Don’t forget to ask for a “doggy-bag” so you can turn that delicious BBQ into a late night snack on the bus down the road. For more great information, please check out the Phoenix Visitor’s Bureau website. Charter bus travel is the right choice for corporate outings, school field trips, or other group events. With charter bus rentals, your group will enjoy the journey as much as the destination!